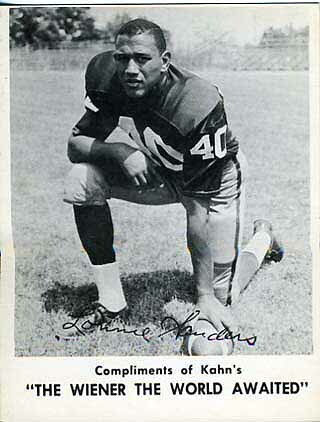 In the early 60’s Kahns Wieners inserted cards into their packages. 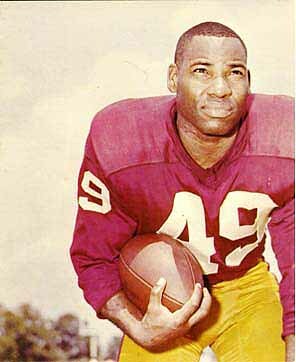 In 1963, the Redskins were one of the featured teams. 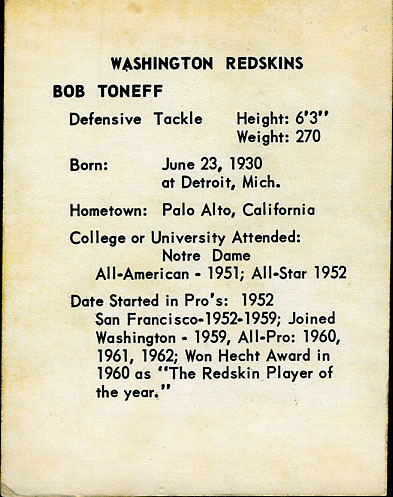 The 1963 set is made up of 14 cards. 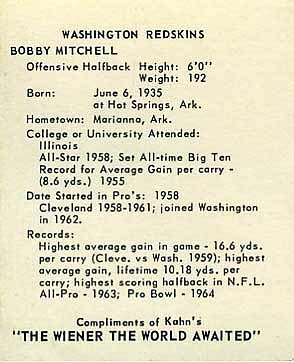 In 1964 the set was produced in color and the Redskins had only two stars in the set: Bobby Mitchell and Sam Huff. 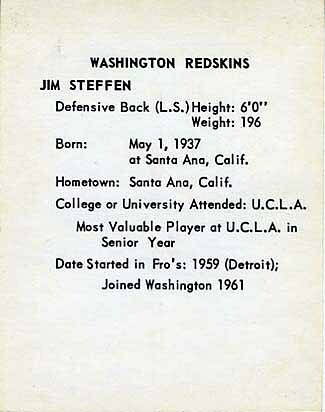 The 1963 set is not one that I have focused on, though I will eventually get to it. 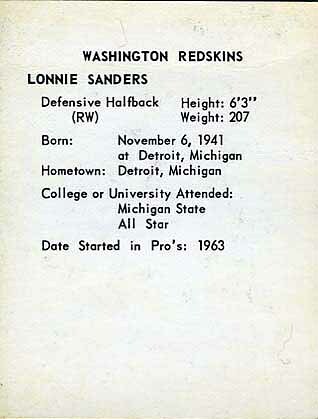 I have included a few 1963 cards so you can see what the set looks like. 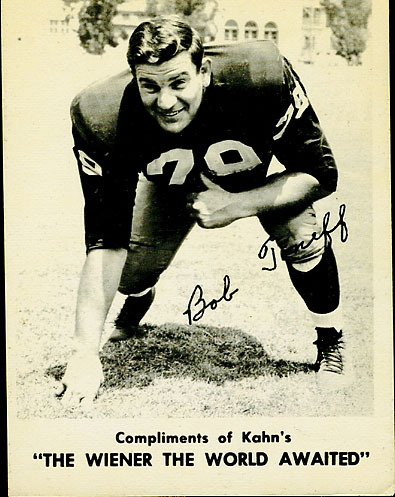 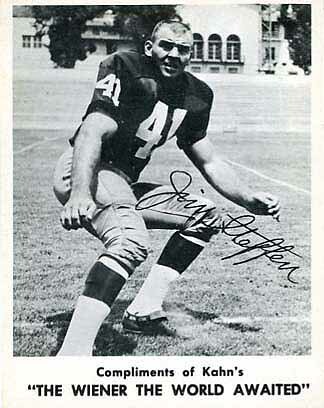 I also have one of the 1964 cards and plan to add Sam Huff to complete the 1964 Redskins team set shortly.